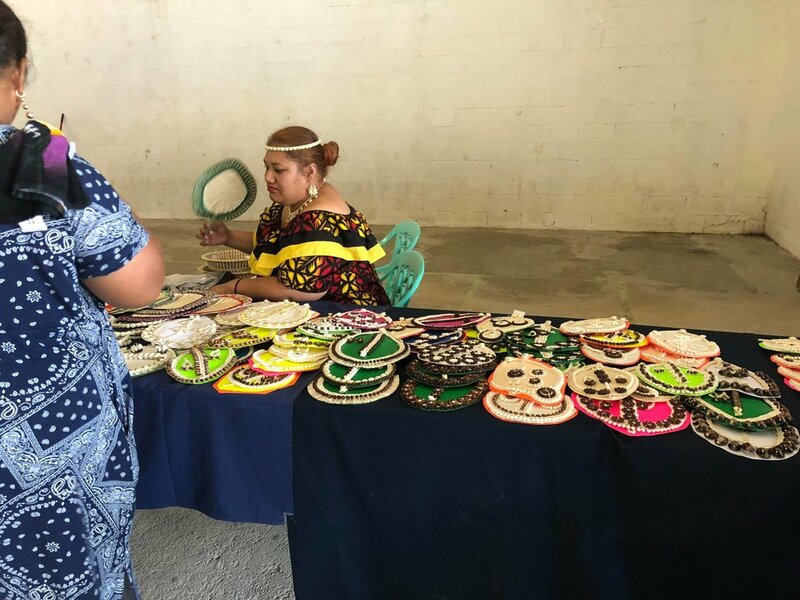 On November 29, 2018 Pacific Trade Invest (New Zealand) in partnership with the Ministry of NRC held a one-day workshop to help local businesses be successful in the RMI and to be able to enter the export market. This workshop is the first step in a 7 step Path to Market Programme that can provide selected companies the opportunity to participate in a Trade Mission to NZ in 2019 to look at export opportunities. This workshop is held annually, with this year being the fourth. 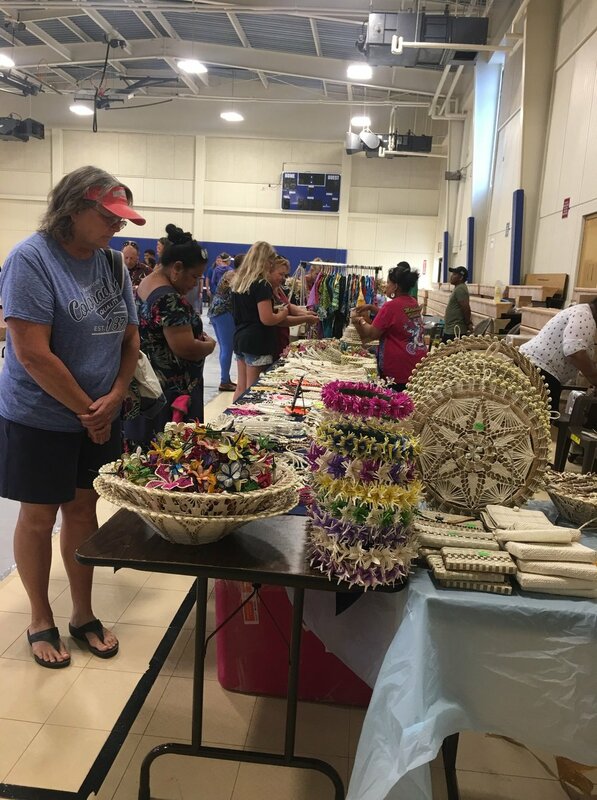 PTI has been supporting private sectors in the Pacific by facilitating connections that support their growth. 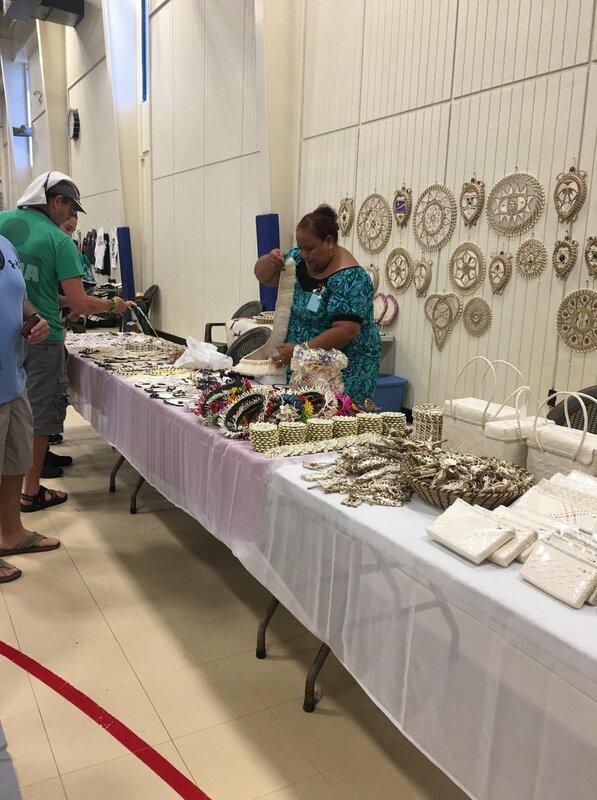 The Ministry of Natural Resources & Commerce invites interested businesses and vendors to submit a letter of interest and to register for the upcoming Marshallese Trade Fair 2018. 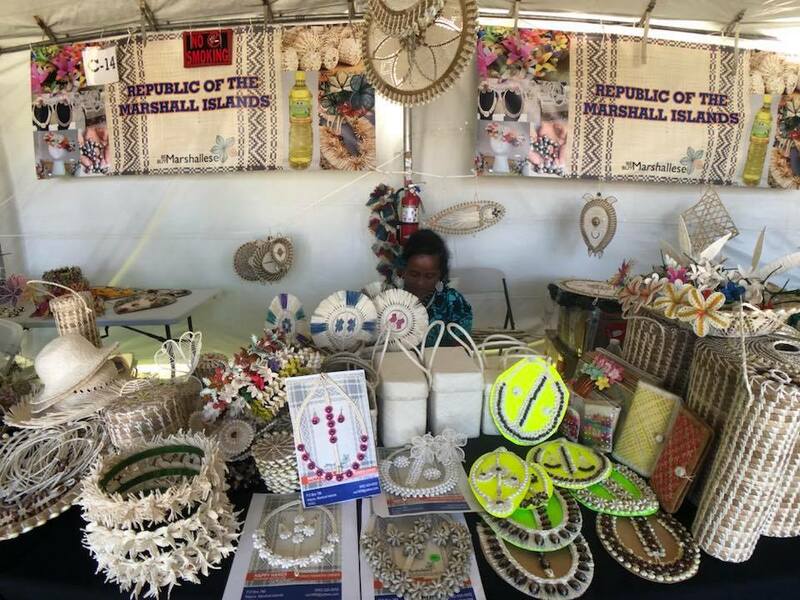 This year's trade fair is scheduled to commence on 21-22 October on Kwajalein and 23 October on Ebeye. Submission requirements: Registration deadline is Monday, 16 July 2018. Registration forms can be found at the Ministry of NRC, Division of Trade & Investment or down below. For further information please contact the Trade Office at 625-3206/4020 or email hattykabua692@gmail.com or mikela.heine1@gmail.com. 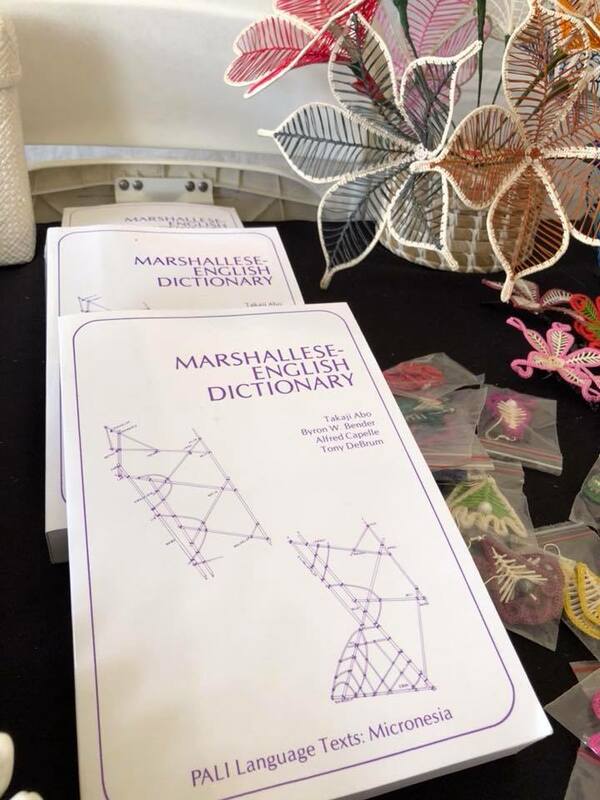 May 1, 2018 marks the 39th Constitution Day for the Republic of the Marshall Islands and also the second One Island, One Product exhibition and competition, where each atoll had the opportunity to display their best and most unique product at the May Day event. On April 2, 2018, H.E Ambassador Daniel D.W Tang of the Republic of China (Taiwan) joined Hon. Minister Dennis Momotaro at the handover ceremony at the Marshall Islands Energy Company (MEC) warehouse, where he presented Minister Momotaro with 100 solar streetlights and 66 batteries funded by the ROC (Taiwan) government. Hon. Vice Speaker Jejwarick Anton, Hon. Senator Daisy Momotaro, Hon. Senator Atbi Riklon, and Majuro Councilwoman Betty Imaikata were present to witness the handover ceremony. Through the continuous support and partnership with the government of ROC (Taiwan), the RMI government has been able to implement various energy initiatives. The ROC (Taiwan) government has made a contribution of $200,000 to the Renewable Energy Project for the procurement and installation of solar streetlights and batteries. The new 100 solar streetlights will be distributed to the outer islands and the 66 new batteries will replace old solar streetlight batteries on Majuro. During the handover ceremony, Ambassador Tang reiterated the commitment and partnership of the ROC (Taiwan) government and the RMI government. 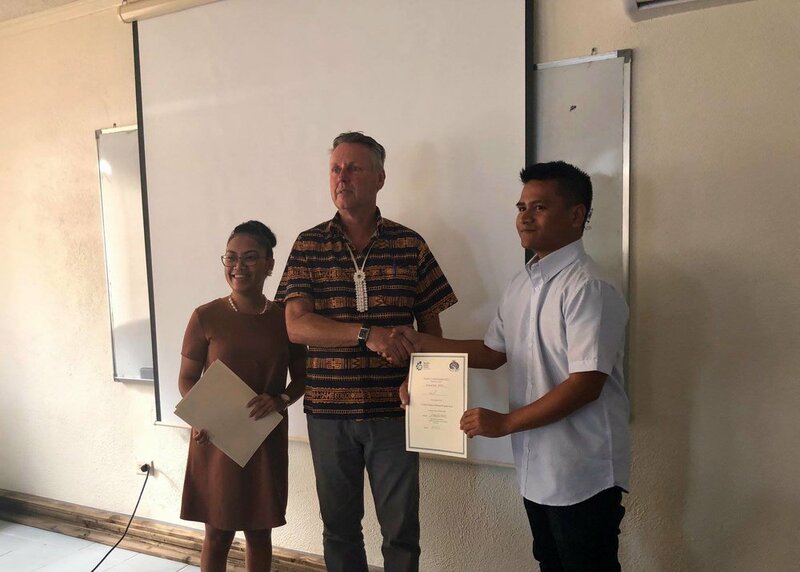 He stated that the Embassy will continue to make an effort to cooperate with the RMI government in developing renewable energy that will contribute to the sustainable development and welfare of the people of the RMI. In conclusion, he expressed his appreciation to Minister Momotaro and his staff for their cooperation to complete the Solar Streetlight Project. Minister Momotaro expressed his appreciation to the ROC (Taiwan) government for their support and partnership in implementing RMI’s energy initiatives. He stated that the implementation of the Renewable Energy Project first began in 2011 with assistance from ROC (Taiwan) Embassy, Ministry of NRC, and MEC. He also stated that the project is significant because it extends to the outer island communities. Furthermore, the project addresses one of the objectives of the RMI Agenda 2020, which is improving the welfare of the outer island communities, along with the global Sustainable Development Goal 7, providing rural communities access to sustainable clean and reliable energy. 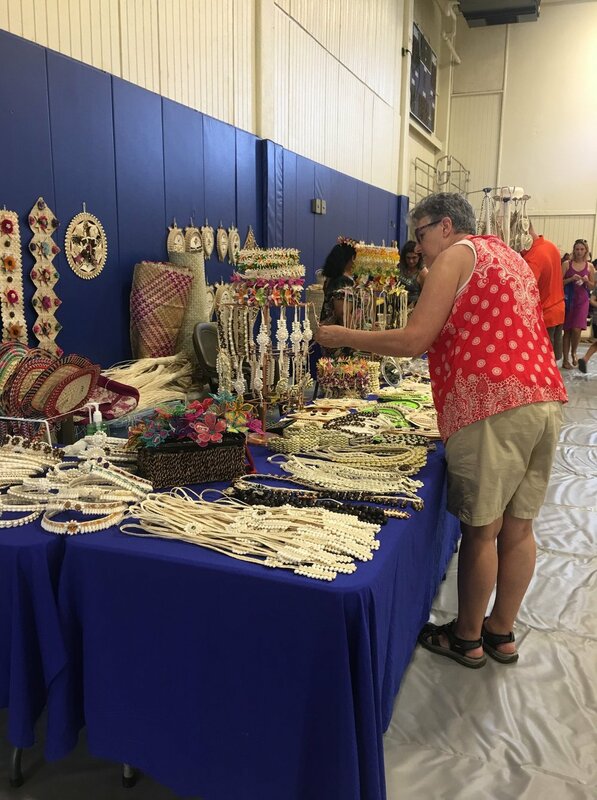 Representing the Marshall Islands, Secretary Iva Reimers-Roberto from the Ministry of NRC and Sheri Guavis from Elefa Handicrafts attended the first Pasifika Business Market at the Pasifika Festival 2018 along with more than 35 small to medium businesses from 11 Pacific Island countries hosted by Pacific Trade and Investment New Zealand (PTI NZ). 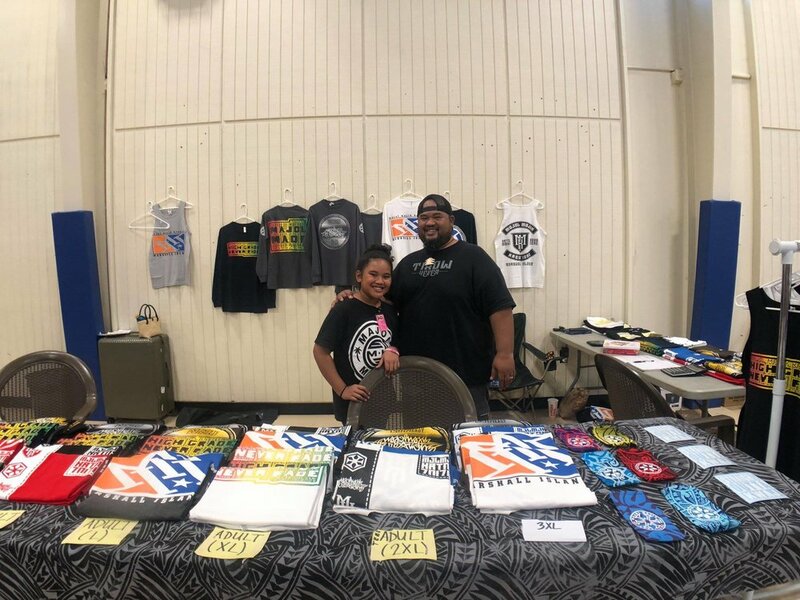 For the past two years, PTI NZ has been helping businesses in the Pacific, such as the RMI, attend Pasifika festivals as part of their Path to Market programme, but for the first time they were all located in one market place. 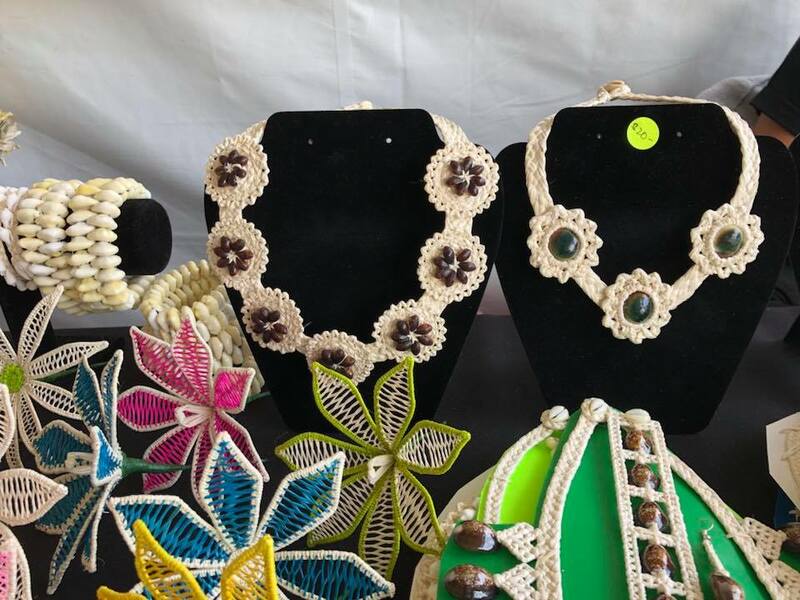 The Path to Market programme helps Pacific Island business, such as Elefa Handicrafts, to better understand the New Zealand market by working through a series of workshops, Gap Analysis Site visits and one-to-one business meetings for ongoing supply and partnerships. During the Gap Analysis session, Festival participants were able to give each other feedback and observations, as well as hearing from industry experts. They also had a chance to attend sector-site visits and one-to-one business meetings, and were later presented with certificates. This was a great opportunity for the Path to Market Participants to learn about improving their products and ways of marketing. 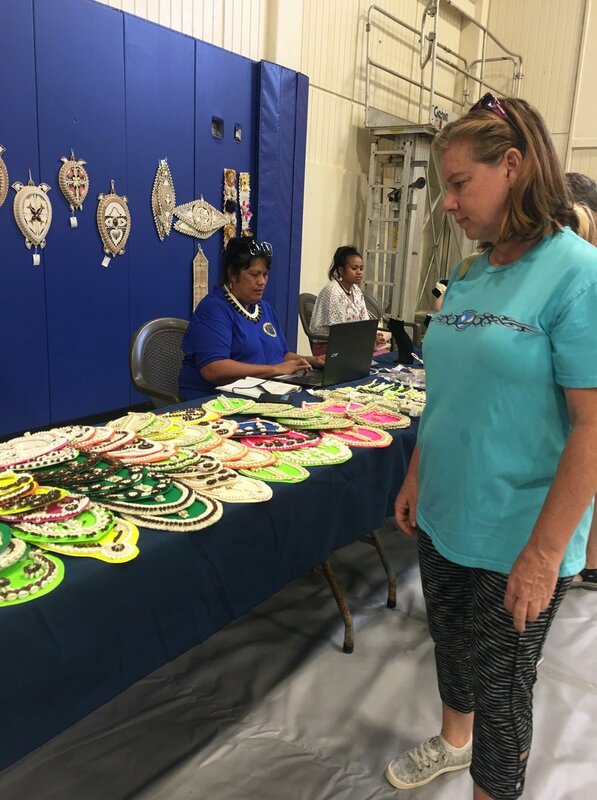 Secretary Iva stated that the one-on-one business meetings following the Pasifika Festival was something she would look at recommending for the attendance of the annual Guam Micronesia Island Fair. The RMI-JAPAN Trade and Investment Seminar was held on November 21, 2017 at the Marshall Islands Resort’s Melele Room. Led by Parliamentary Vice-Speaker for Foreign Affairs of Japan, Honorable Mr. Iwao Horii, the Japan Trade and Investment mission consisted of government and private sectors, including eight private Japanese companies. 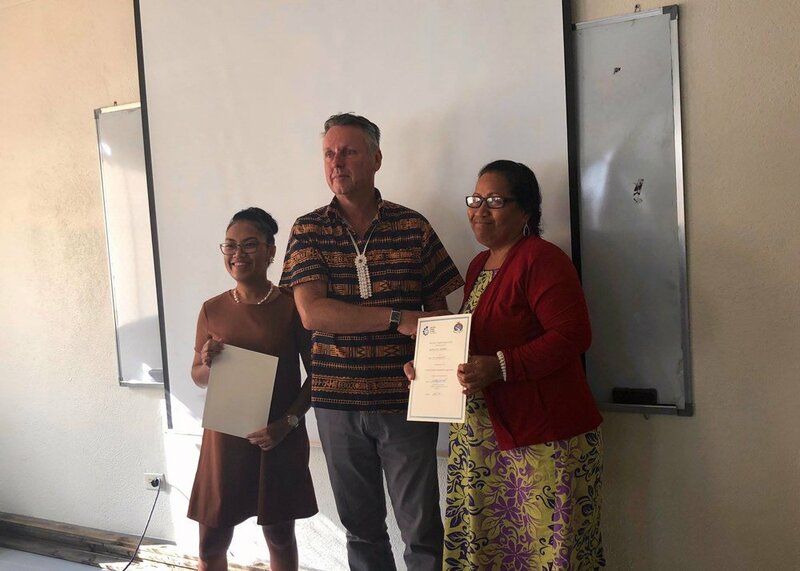 From the RMI, Honorable Minister John M. Silk, Honorable Minister Alfred Alfred Jr., and His Excellency Ambassador Tom D. Kijiner took part in the seminar alongside representatives from government and private sectors of the RMI. With more than 50 people who attended the workshop, the seminar provided a fruitful platform, allowing the two countries to exchange ideas and experiences with one another. The seminar consisted of three sessions. Session 1 being “Efforts to expand trade and investment between Japan and the Marshall Islands,” and Sessions 2 and 3 being “Proposal of a new investment and trade partnership.” Presentations from Japanese representatives included presentations from Japan External Trade Organization (JETRO), the Japan International Kohan Shoji, Nippon Closures, the Pacific Island Center (PIC), Dai Nippon Construction, Marshall Japan Construction Company (MJCC), NBK Cooperation, Japan Pacific Islands Association, and Kaiika Restaurant. Presenting from the RMI were Office of Commerce and Investment (OCI), Marshall Islands Visitors Authority (MIVA), Pacific International Inc. (PII), Aquaculture Technologies of the Marshall Islands (ATMI), and Tobolar Copra Processing Authority, where they introduced trade and investment opportunities in the RMI. Closing the seminar, His Excellency Ambassador Hideyuki Mitsuoka summarized the seminar and stated that the seminar reminded the potential business opportunities between Japan and the RMI. He stated that since 2018 is the year Japan and the RMI established diplomatic relations with each other, and that the 8th Pacific Islands Leadership Meeting will take place in May 2018, he is hopeful that the year 2018 will bring great progress between Japan and the RMI. Also adding his closing remarks, Minister Alfred stated that even though the time spent in the seminar was limited to drill down into further details, the seminar concluded with success. He also assured to send a RMI business mission to Japan sometime next year. President's Day and World Food Day were celebrated on the 18th of November at Delap Park, where activities such as a walkathon, parade of floats, compost demonstration, cooking demonstration, Urok & Billfish Tournament, cooking competition, giveaway of local seedlings by the Ministry of NRC, Biggest Root Crops Award, and more commenced. Preceding to the President’s Day and World Food Day activities held the opening ceremony, where Minister Alfred Alfred, Jr. delivered his remarks on World Food Day. Minister Alfred spoke on World Food Day coinciding with President’s Day and acknowledged the late President Iroijlaplap Amata Kabua. He shared that one of the late President Kabua’s visions included food security for the Marshall Islands. He went into further detail on the importance of food security and the efforts the local government has made in strengthening the development of food security. He explained the theme for World Food Day which was “Change the future of migration. 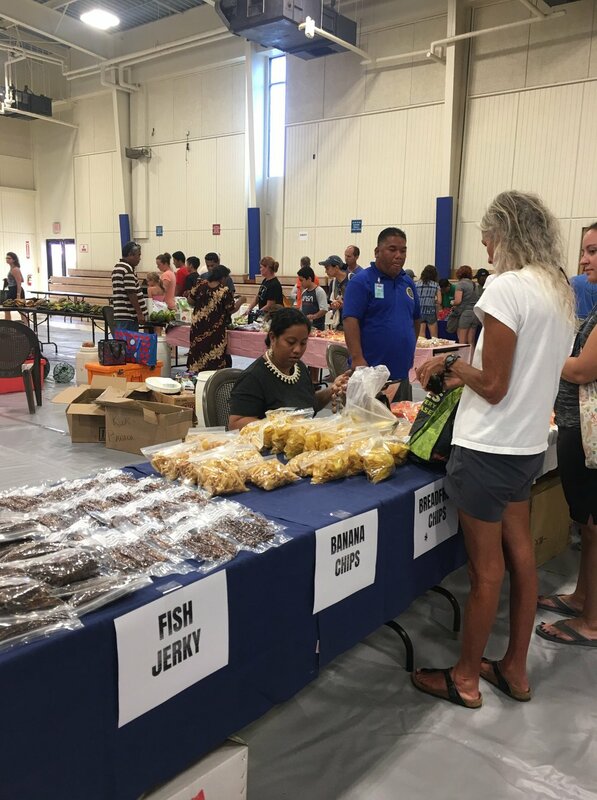 Invest in food security and rural development.” He stated that to prevent residents from migrating, it is important to invest in food security and development in the outer islands. These are challenges that are addressed in the Agenda 2020 Framework, under Challenge 8: Improving the welfare of outer island communities.